As we mentioned earlier this month, October is Protection Month, and to help you keep the gadgets you love up and running, every Wednesday this month we’ll be posting tips and tricks to maintain your favorite electronics. Check out our post from last week about making your laptop battery last. We have long touted the convenience and usability of tablets. Beyond their portability, tablets are just plain fun to use, and there are so many ways to use them. Here are the top five ways we love to put our tablets to work. Tablets are great for entertaining adults and kids alike. 57% of Americans own a tablet¹ and over half of adults say their kids regularly use the device. It’s so portable and lightweight it’s easy to bring your tablet along to help pass the time playing your favorite games. With the improved retina displays on the latest tablets and a massive selection of gaming apps at your fingertips, entertaining yourself (or your kids) has never been easier. Paper books have practically become a thing of the past with tablets offering a cheaper, more convenient alternative through electronic books. Why lug around piles of paperbacks when you can easily fit them all on one sleek device? With all the apps available, finding your favorite book is never more than a few taps away. Connect your tablet to your wireless speakers for an easy to manage wireless home stereo system. Using your tablet as the command center allows you to manage your music from anywhere in the house and easily syncs with your iTunes library or streaming sites like Spotify or Pandora. 74% of parents use their tech to entertain their kids¹, and with streaming apps like Netflix, Amazon and iTunes your tablet is bound to keep the kids occupied. Plus tablets are so compact it’s easy to bring them along to restaurants, in the car or at appointments. With the holidays fast approaching, we’re all looking for ways to get our shopping done easily without breaking the bank. 78% of people surf online to find the best Black Friday deals² and your tablet makes scoring the deepest discounts a cinch. It’s easy to shop from your couch or on the go, making the tablet your go-to shopping side kick. No matter how you use your tablet, make sure to protect it. 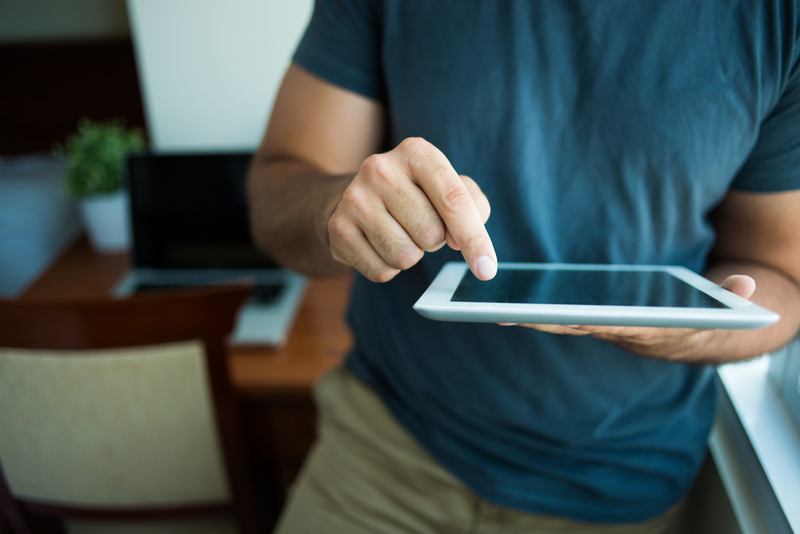 Asurion claims data indicates that 1 in 2 tablets will experience a mechanical failure or accidental damage from handling such as a drop or spill within the first 2 years of ownership. Make sure you’re protected with a product protection plan from your retailer. Visit Asurion.com/extended-warranty/ to learn more.